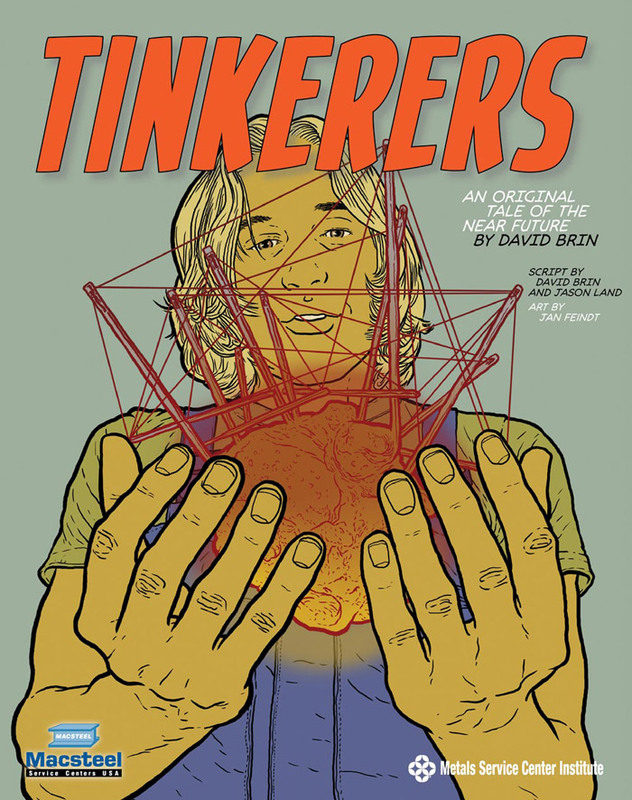 Written by world class science fiction writer David Brin, who I wish would turn his “Uplift” saga (genetically engineering animals upward, probably so they can shoot back…also a big hit in transhumanist circles..) into comics, “Tinkerers” tells a very entertaining science fiction tale about the death of American manufacturing. You would think that wouldn’t be so entertaining but it is. Better than most of the comics that you could buy at the stands. Trust me. It can also be read for free online but more on its funding and availability later. We’re taken to a science fictional future with jetpacks and hover cars made from kits and 3d printing taken to the 10th degree. We’re not told the year but I’m guessing at least 2030. But despite all the tech glamor we are allegedly looking at the United States in perpetual decline. 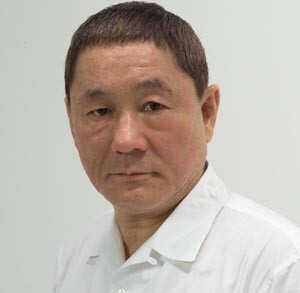 We explore this condition through our lead character Danny Nakamura. He’s a rising tech person but still lives in a declining America that won’t invest in infrastructure. His entire graduating class is almost killed when a bridge nearby collapses. We’re told various viewpoints about the decline of the American manufacturing base by people who look suspiciously like Bernie Mac, Morgan Freeman as Nelson Mandela and Japanese actor Beat Takeshi. Seriously they look just like them. I agree with the perspective of former money manager dude who looks a little like Peter Lorre. We are ruled by people who know what “quants” are. Free advice for the manufacturing sector: start working with labor and get better lobbyists. Better hope it wasn’t from AP. 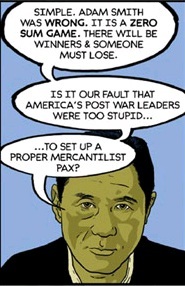 Poor poor Shepherd Fairey. Should he “hope” for a presidential pardon?…would be nice. More Related: This guy thinks these are lifts and also mentions Kris Kristofferson. I missed that one although he did look familiar…actually, a lot of these characters look familiar but I thought that the art is outstanding.